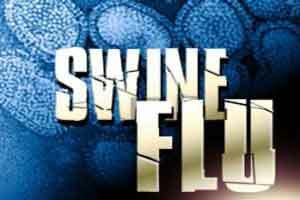 Seven swine flu-related deaths have taken place in Kashmir Valley this season, authorities said here today.”As of date, the SKIMS has treated 24 positive cases of H1N1, out of which 12 have been discharged and five are under treatment,” Director, Sher-e-Kashmir Institute of Medical Sciences (SKIMS), A G Ahangar said.”Unfortunately, seven patients have expired because of other co-morbidities primarily like malignancies, leukaemia, COPD, immune compromised states,” he said. He said with seasonal variations in Jammu and Kashmir in general and Kashmir Valley in particular, the viral surges in the atmosphere, when temperature dips, leading to increased incidence of such infections.”No part of the world and for that matter no population is immune to such epidemics, least the Kashmir Valley, which is unfortunately as of date, facing slightly increased surge in swine flu (H1N1) infections,” the director said. He said SKIMS was bearing the maximum brunt of patient population because of the tertiary care facilities available.Ahangar said the staff members looking after H1N1 patients were provided Personal Protective Equipment (PPE) masks and other facilities for their protection as well as immunisation against H1N1.He said the institute has purchased 250 vaccines for hospital staff and ordered 2000 more.Advising people to maintain hand hygiene by washing with soap and water, Ahangar said there is no need to panic.